Definition at line 47 of file send.c. Definition at line 48 of file send.c. Referenced by add_data_reloc(), add_metadata_reloc(), data_reloc_add_tree_edr(), flush_refs(), sort_data_reloc_refs(), and sort_metadata_reloc_refs(). Definition at line 51 of file send.c. 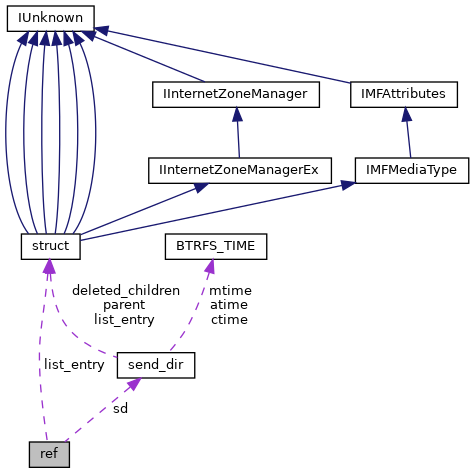 Referenced by flush_refs(), and xmlFreeRef(). Definition at line 50 of file send.c. Definition at line 49 of file send.c.